Idioms are used in the context. Two supplementary exercises will help Ss memorize them. Hope you'll like it! This downloadable teaching material is a great resource for high school students and adults at Intermediate (B1) and Upper-intermediate (B2) level. 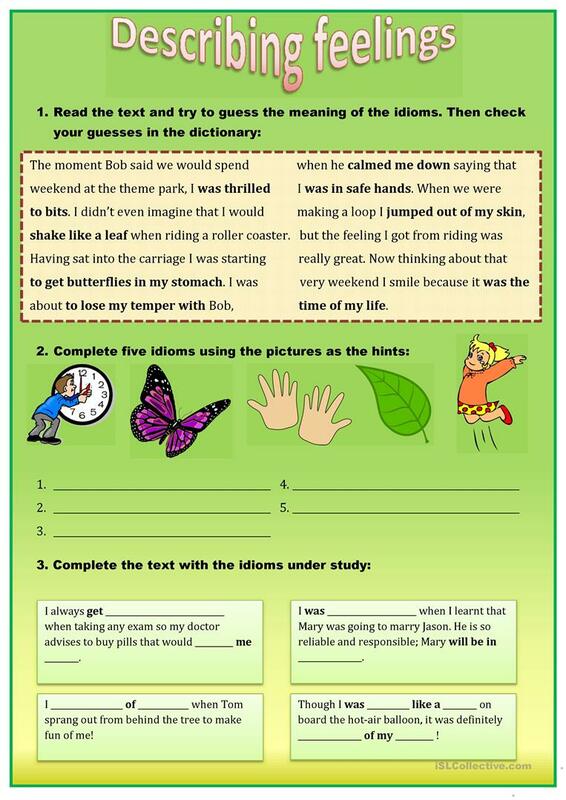 It is a valuable material for working on your learners' Reading and Writing skills. It features the topic and words of Idioms. Summeray is from/lives in Russia and has been a member of iSLCollective since 2013-04-29 19:56:34. Summeray last logged in on 2019-03-17 07:30:29, and has shared 23 resources on iSLCollective so far.